Singer-songwriters are musicians who write, compose, and perform their own musical material, including lyrics and melodies. Jamestown is a village in Greene County, Ohio, United States. The population was 1,993 at the 2010 census. Dale Watson is the current mayor. Merle Ronald Haggard was an American country singer, songwriter, guitarist, and fiddler. Along with Buck Owens, Haggard and his band the Strangers helped create the Bakersfield sound, which is characterized by the twang of the Fender Telecaster mixed with the sound of the steel guitar, vocal harmony styles in which the words are minimal, and a rough edge not heard on the more polished Nashville sound recordings of the same era. A steel mill or steelworks is an industrial plant for the manufacture of steel. It may be an integrated steel works carrying out all steps of steelmaking from smelting iron ore to rolled product, but may also describe plants where steel semi-finished casting products are made, from molten pig iron or from scrap. Conley returned to Nashville, now writing for Nelson Larkin's publishing house. In 1979, he signed a recording contract with Warner Bros. Records. Two years later, he had his first Top 40 hit, "Dreamin's All I Do". He left the label in 1979 and joined Sunbird Records, where he again worked with Nelson Larkin. This time, Conley found success, with a Top Ten and a Number One single within the next two years. He continued to have success over the next few years, and in 1983, he was nominated for multiple Grammy Awards for his song "Holding Her and Loving You". He set a record the following year as the first artist in any genre to have four Number One singles from the same album, Don't Make It Easy for Me (released in May 1983). In 1986, Conley was credited with breaking down country music barriers when he dueted with pop/R&B singer Anita Pointer of the Grammy-winning Pointer Sisters. Their single, "Too Many Times," the title track to Conley's 1986 album, reached #2 on the Country charts. Randy Lynn Scruggs was a music producer, songwriter and guitarist. He had his first recording at the age of 13. 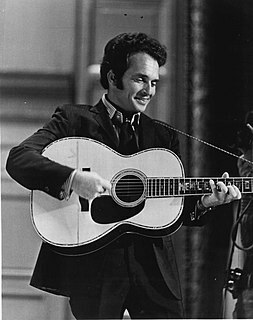 He won four Grammy Awards and was twice named Musician of the Year at the Country Music Association Awards. He was the middle son of Earl Scruggs. Earl Eugene Scruggs was an American musician noted for popularizing a three-finger banjo picking style, now called "Scruggs style," which is a defining characteristic of bluegrass music. His three-finger style of playing was radically different from the traditional way the five-string banjo had previously been played. This new style of playing became popular and elevated the banjo from its previous role as a background rhythm instrument to featured solo status. He popularized the instrument across several genres of music. Pods o' Pop is an audio magazine featuring interviews with some of the music industry's most celebrated performers, creators and insiders. Host and producer, Tracy Alan Thibodeaux, draws from his extensive radio broadcasting experience to introduce his guest's work to uninitiated listeners, clarify historical events from the artist's perspective and showcase upcoming projects. 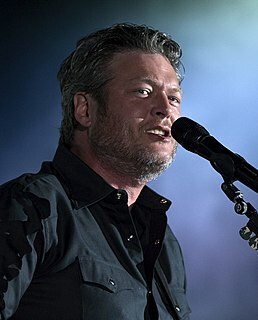 In 2002, Blake Shelton charted in the Top 20 with "All Over Me," which Conley co-wrote with Shelton and longtime friend, songwriter Michael Pyle. Ernest Bert Ashworth was an American country music singer, broadcaster, and longtime Grand Ole Opry star. Signed to the Hickory label, he recorded two studio albums in his career and charted several singles on Billboard Hot Country Songs, including the number one "Talk Back Trembling Lips" and seven other top ten hits. Gail Davies is an American singer/songwriter and the first female record producer in country music. She is the daughter of country singer Tex Dickerson and the sister of songwriter Ron Davies. Gail's son, Chris Scruggs, is a former co-lead singer and guitarist for the roots-country band BR549 and is currently on tour with Marty Stuart as a member of his Fabulous Superlatives. The discography of Earl Thomas Conley, an American country music singer, consists of ten studio albums and 42 singles. He first charted in 1975 as Earl Conley for the GRT and Warner Bros. Records labels, before moving to Sunbird Records. He had his first number one in 1981 with "Fire & Smoke", and had a total of eighteen number ones between then and "Love Out Loud" in 1989. "This Time I've Hurt Her More Than She Loves Me" is a song written by Earl Thomas Conley and Mary Larkin and recorded by American country music artist Conway Twitty. It was released in October 1975 as the first single from the album This Time I've Hurt Her More. "This Time I've Hurt Her More than She Loves Me" was Conway Twitty's fifteenth number one country single as a solo artist. The single stayed at number one for a single week and spent a total of ten weeks on the country chart. "Your Love's on the Line" is a song recorded by American country music artist Earl Thomas Conley. The song was written by Conley along with Randy Scruggs, and was released in April 1983 as the lead single from the album, Don't Make It Easy for Me. The song was Earl Thomas Conley's third number one on the country chart. The single went to number one for one week and spent a total of thirteen weeks on the country chart. "Love Don't Care " is a song co-written and recorded by American country music artist Earl Thomas Conley. It was released in April 1985 as the third and final single from the album Treadin' Water. The song was Earl Thomas Conley's ninth number one country hit as a solo artist. The single went to number one for one week and spent a total of thirteen weeks on the country chart. The song was written by Conley and Randy Scruggs. "What I'd Say" is a song written by Robert Byrne and Will Robinson, and recorded by American country music artist Earl Thomas Conley. It was released in October 1988 as the third single from his album, The Heart of It All. "What I'd Say" was Earl Thomas Conley's seventeenth number one country single. The single went to number one on the U.S. and Canadian country chart's and spent a total of fourteen weeks on the U.S. country chart. "Chance of Lovin' You" is a song co-written and recorded by American country music artist Earl Thomas Conley. It was released in August 1984 as the lead single from the album Treadin' Water. The song was Earl Thomas Conley's seventh number one country hit. The single went to number one for one week and spent a total of fourteen weeks on the country chart. The song was written by Conley and Randy Scruggs. "We Believe in Happy Endings" is a song written by Bob McDill and recorded by American country music artist Johnny Rodriguez. It was released in September 1978 as the second single from the album Just for You. The single went to number seven on the Billboard Hot Country Singles & Tracks chart. "Silent Treatment" is a song written and recorded by American country music artist Earl Thomas Conley. It was released in November 1980 as the first single from the album Fire and Smoke. The song reached number 7 on the Billboard Hot Country Singles & Tracks chart. 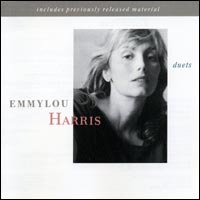 "Too Many Times" is a song written by Michael Smotherman, Scott Page, and Tony McShear and recorded by American country music artist Earl Thomas Conley and R&B artist Anita Pointer. It was released in July 1986 as the first single and title track from the album Too Many Times. It reached number 2 on the Billboard Hot Country Singles & Tracks chart. Greatest Hits is the first compilation album by the American country music artist Earl Thomas Conley. It was released in September 1985 by RCA Records. The album peaked at number 1 on the Billboard Top Country Albums chart. "Bring Back Your Love to Me" is a song written by John Hiatt, and recorded by American country music artist Earl Thomas Conley. It was released in January 1990 as the first single from his Greatest Hits 2 album. The song reached number 11 on the Billboard Hot Country Singles & Tracks chart in May 1990. "Hard Days and Honky Tonk Nights" is a song co-written and recorded by American country music artist Earl Thomas Conley. It was released in January 1992 as the third single from the album Yours Truly. The song reached #36 on the Billboard Hot Country Singles & Tracks chart. The song was written by Conley and Randy Scruggs. 1 2 Wood, Gerry. (1998). "Earl Thomas Conley". In The Encyclopedia of Country Music. New York: Oxford University Press. p. 108. 1 2 Dennis, Paul W. (2009-08-19). "Forgotten Artists: Earl Thomas Conley". Engine 145. Archived from the original on 2014-10-06. Retrieved 2011-06-17. 1 2 3 4 Roland, Tom. "Earl Thomas Conley biography". Allmusic . Retrieved 8 September 2010. ↑ Thibodeaux, Tracy (2 December 2013). "Pods o' Pop-Earl Thomas Conley-Part 1". Interview. Pods o' Pop. Archived from the original on 22 December 2013. Retrieved 21 December 2013. ↑ Thibodeaux, Tracy (2 December 2013). "Pods o' Pop-Earl Thomas Conley-Part 2". Interview. Pods o' Pop. Archived from the original on 22 December 2013. Retrieved 21 December 2013. ↑ Farrell, Paul (April 10, 2019). "Earl Thomas Conley Dead: Country Legend Dies at 77". Heavy.com. Retrieved April 10, 2019. ↑ Friskics-Warren, Bill (April 11, 2019). "Earl Thomas Conley, Country Star of the 1980s, Is Dead At 77". nytimes.com. Retrieved April 11, 2019. "After the Love Slips Away"
"Somewhere Between Right and Wrong"
"I Have Loved You Girl (But Not Like This Before)"
"Your Love's on the Line"
"Holding Her and Loving You"
"Don't Make It Easy for Me"
"Love Don't Care (Whose Heart It Breaks)"
"Nobody Falls Like a Fool"
"I Can't Win for Losin' You"
"That Was a Close One"
"What She Is (Is a Woman in Love)"
"You Must Not Be Drinking Enough"
"Hard Days and Honky Tonk Nights"
"This Time I've Hurt Her More Than She Loves Me"